Decorating your Christmas tree does not have to be an expensive ordeal. 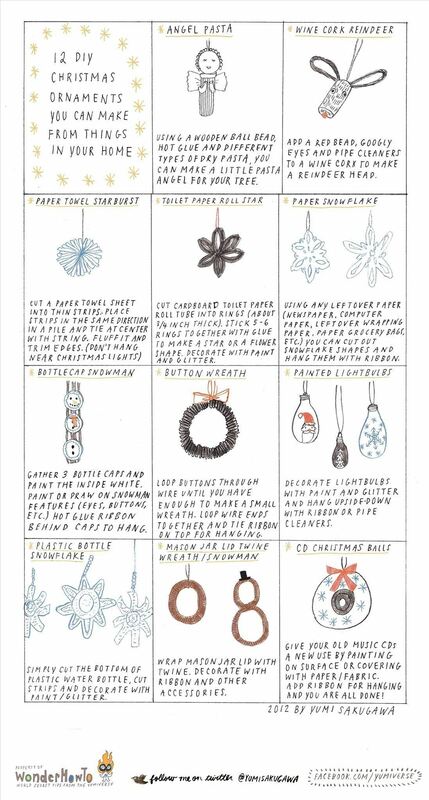 You can easily make personalized, unique ornaments for your tree by using things lying around your home, like toilet paper tubes, paper towels, wine corks, old newspapers, CDs (remember those? ), plastic water bottles, and even dry pasta. _If you have craft "Pipe Cleaners" all you have to do is twist them to make "Candy Canes"